Taiwan's central and local government officials will appeal to foreign investors at the Asia-Pacific region's largest real estate exhibition in November, to attract more investment from abroad by raising the profile of locations near science parks and major transportation facilities in the country. Officials from the Cabinet-level Council for Economic Planning and Development (CEPD), Ministry of Transportation and Communications, and local governments of Taipei City, Taipei County, Hsinchu County and Tainan County are all expected to attend. Apart from attracting investment to local property development projects, they will also be seeking potential investors in other areas, including, biotechnology, digital content, green energy and urban renewal. The 20 projects are valued at an estimated amount of NT$995 billion (US$32.6 billion). Last year a total of 1,021 companies and 384 investors from over 40 nations participated in the exhibition. 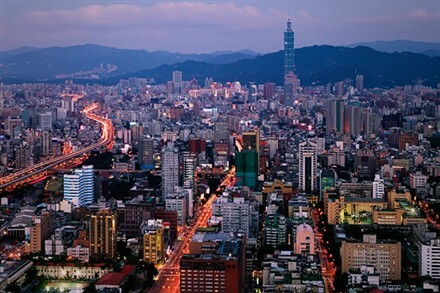 "At a time when investors are very interested in investing in Taiwan, it is most helpful to promote these projects on an international platform," said Christina Liu, CEPD Chairwoman.